Xiaodi Jin – just WOW! If you don’t know the name Xiaodi Jin, don’t feel bad, I didn’t either until recently. It’s a name that deserves more attention as a master artist of fantasy – that much is for sure! This master of fantasy brings creatures to such haunting reality that simply viewing the art, requires one to steel themselves and question everything they know about the natural world. I am not really sure what to say about the images, there is no describing them. So I will simply post a number of them and try to assemble some rambling commentary. I really would like to find more information on this master artist, ask them a number of questions, and try (likely in vain) to discover their techniques of study and mastery. 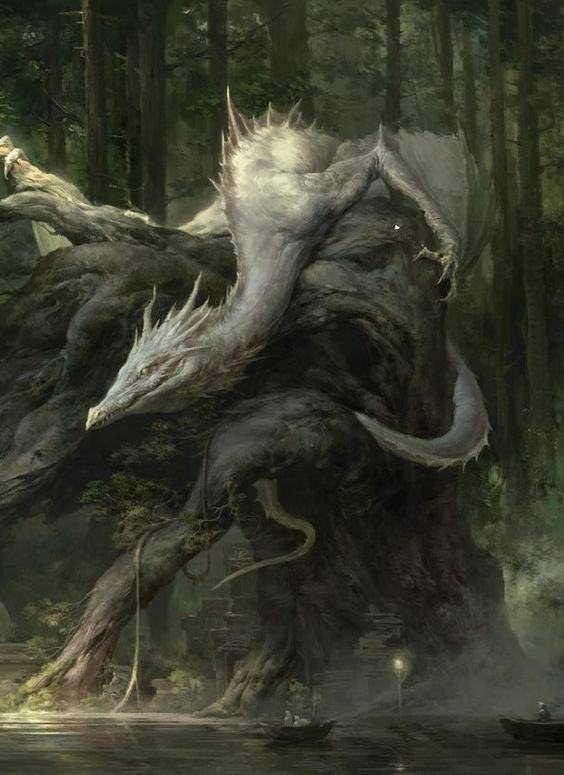 The greens of the forests are appropriately muted, even the fantastical dragons bear anatomy that is suddenly believable, and the use of light – simply stunning. I speak about this artist in gender neutral terms as I honestly don’t know if the name reflects a gender. If anyone finds an official ‘page’ for this artist, please post it in the comments below. The closest thing I have found is this link. I am just simply amazed and beside myself at the mastery of this fantasy artist. wonderful work, and a name we should all get to know a bit better. ← Valerian – The next Fifth Element?